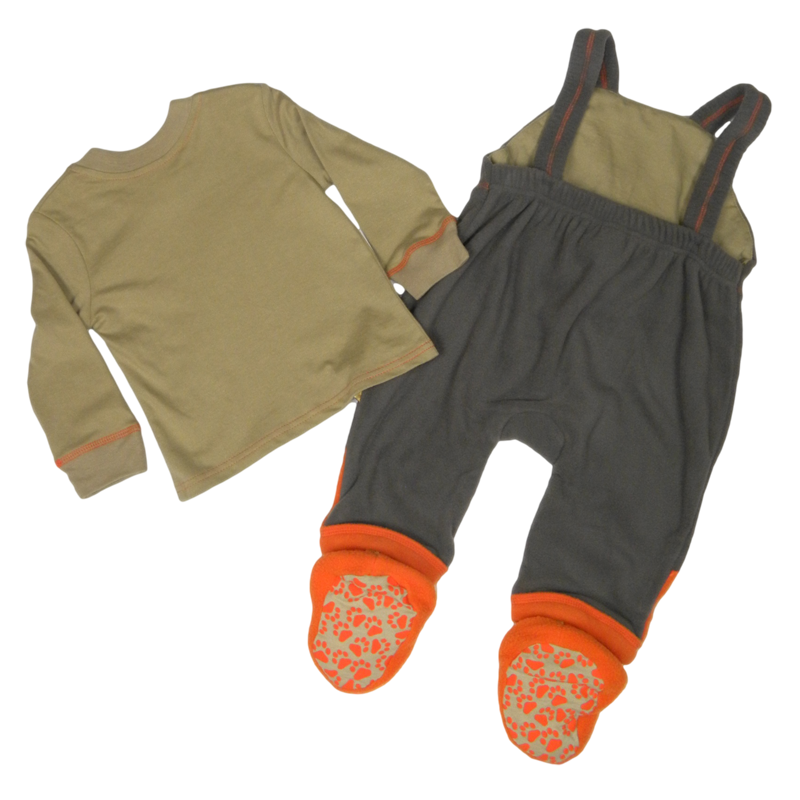 3 piece outfit in beige, grey & orange consisting of a beige cotton long sleeve T with orange stitching detail to the wrists and easy-on poppers to the neck area. 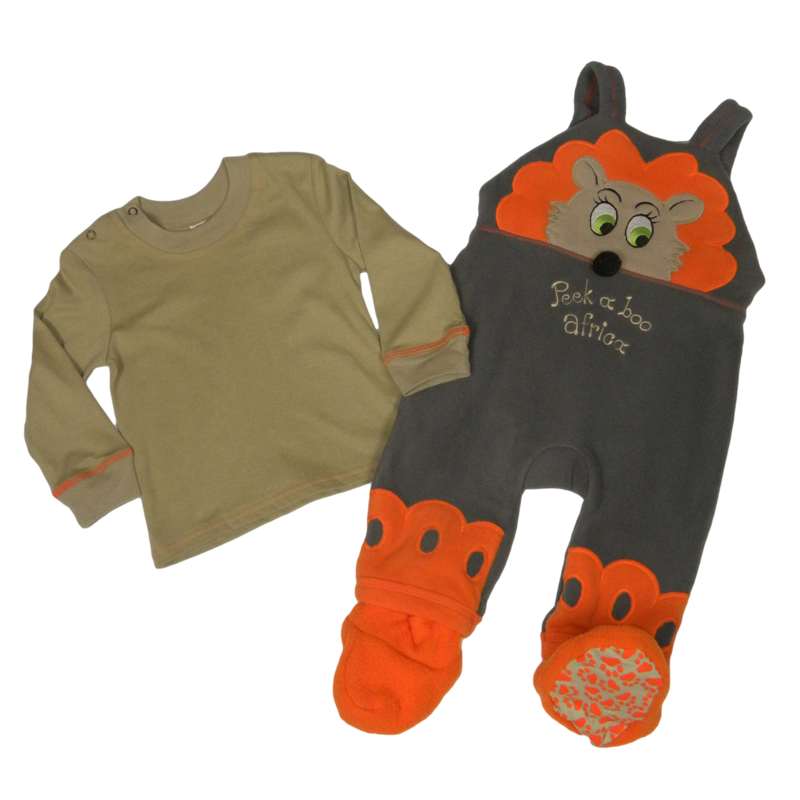 The grey polar fleece romper has a large lion head appliqué "peeking out" above a stitched line, with embroidered "Peek a boo Africa" lettering below and a contrasting orange fleece detail to the bottom of the legs. 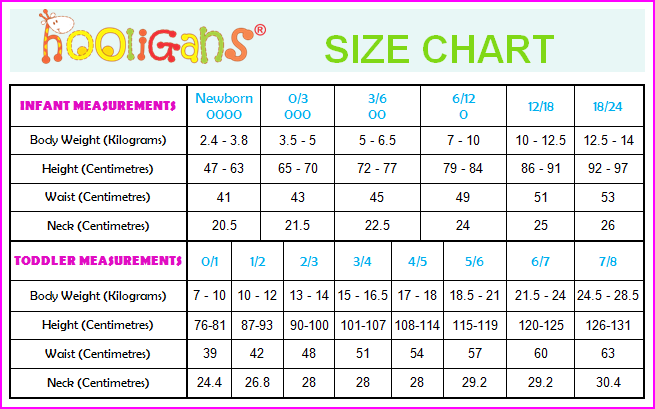 The booties are separate and have non-slip paw details to the underside.